The Friends of the Million Dollar Band was established in the spring of 2015 and currently has close to 300 members. 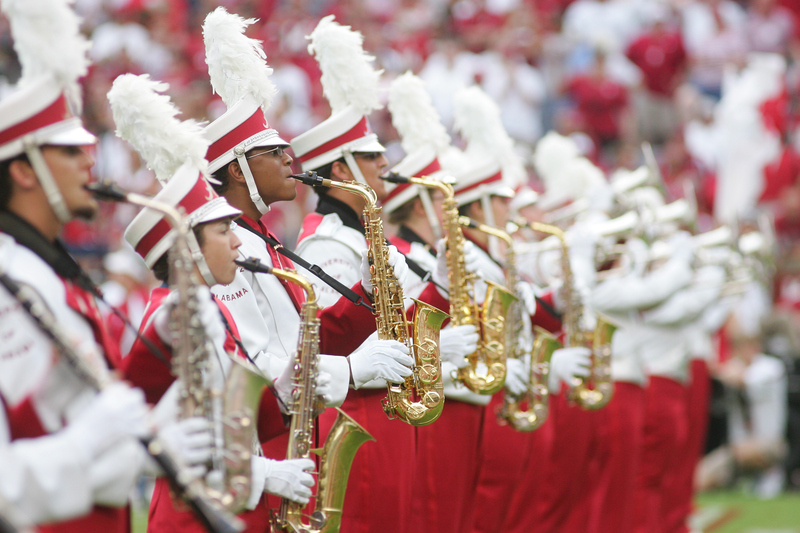 Assist, support, and promote The University of Alabama Million Dollar Band. The board meets twice a year: The spring board meeting is the Saturday morning of Alabama’s spring practice game, A-Day. The fall meeting is held on Alumni Band Weekend. Save the dates are mailed with full details closer to time. Board members can join the following band committees: events, finance, or membership. Join by mailing your annual dues contribution of $100 per person to The University of Alabama, College of Arts and Sciences, Box 870268, Tuscaloosa, AL 35487.